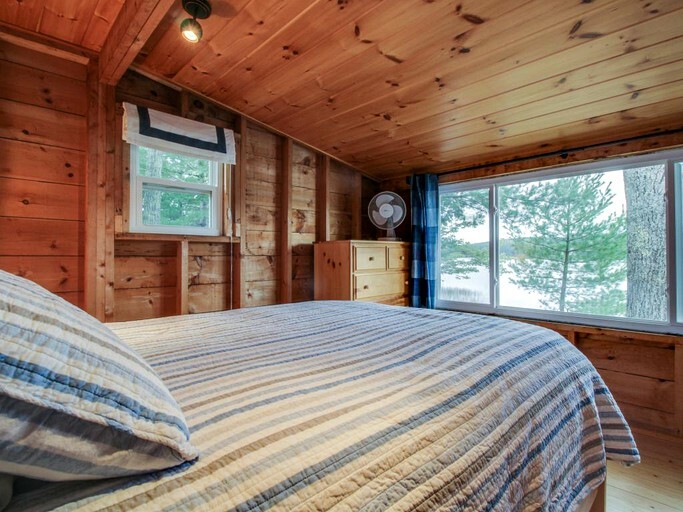 This private cabin rental in Appleton, Maine, features three bedrooms, one bathroom, and can sleep up to six guests comfortably. 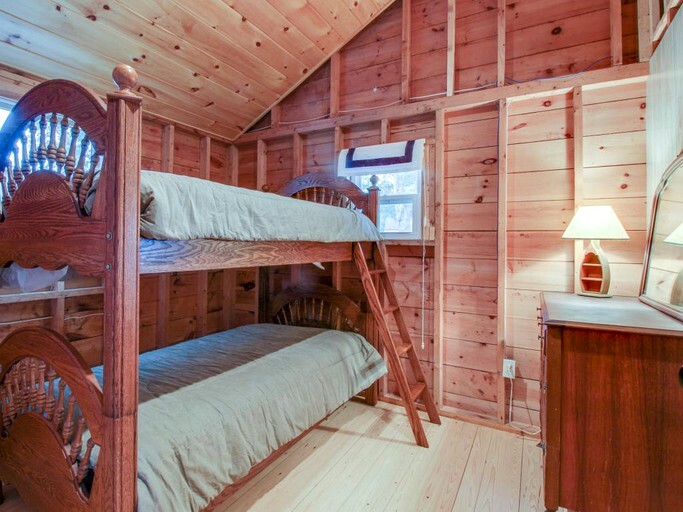 The master bedroom features a queen-size bed and clean wooden furniture including a dresser. 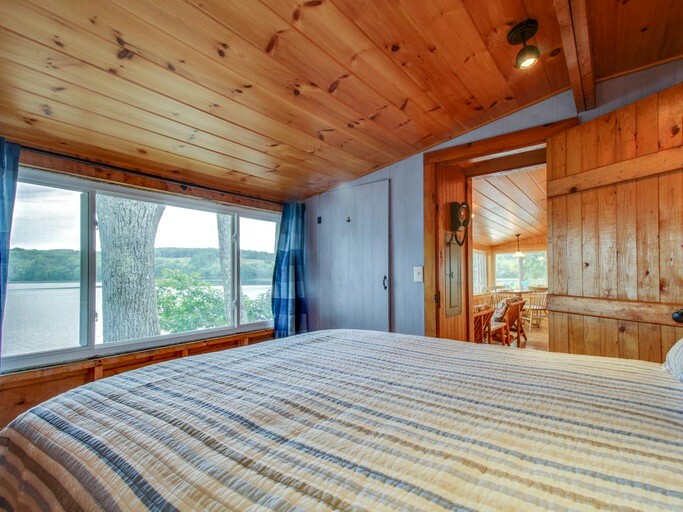 A large window overlooking the lake spans the wall of the master bedroom. 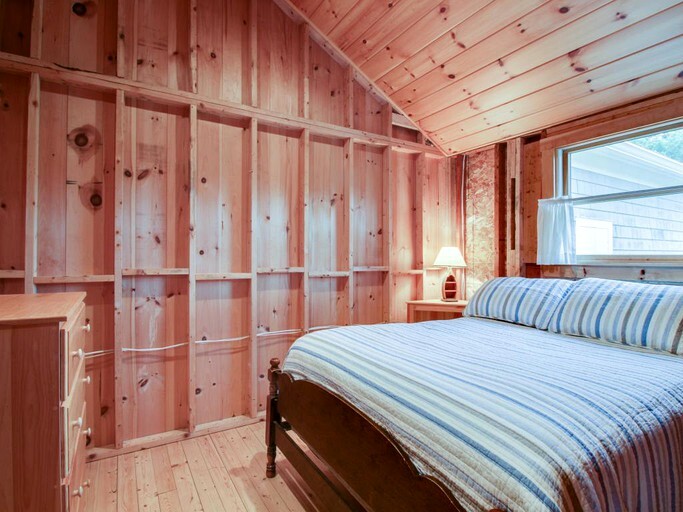 The second bedroom features a full-size bed with a wooden dresser. 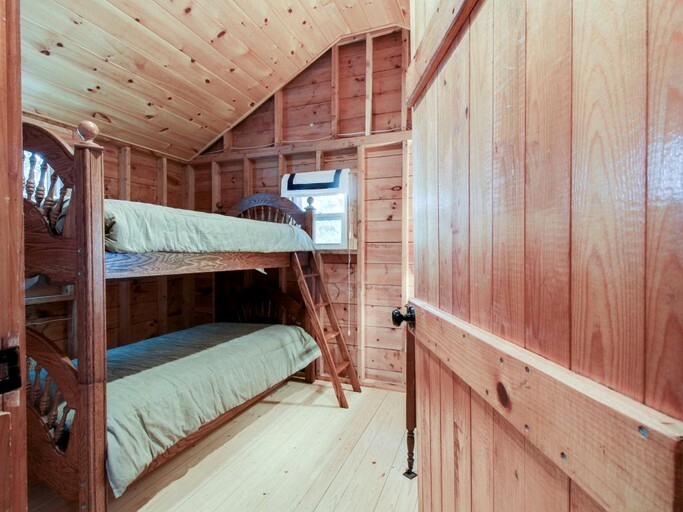 In the third bedroom, guests will find a twin bunk-bed and wooden dresser, a perfect space for children. 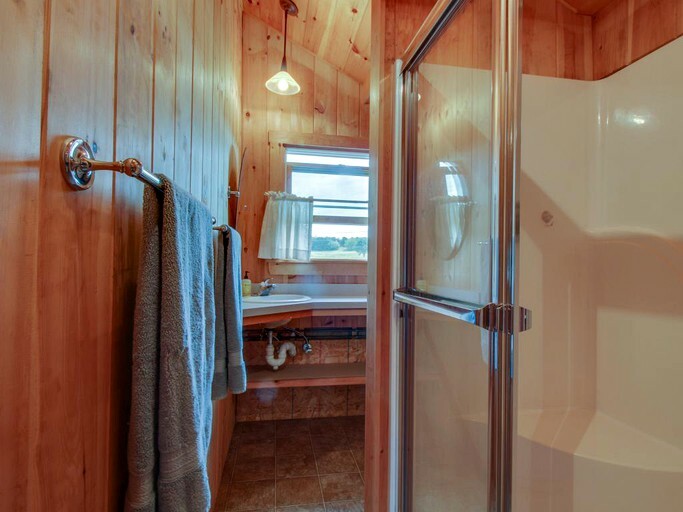 The single bathroom features a stand-alone shower, sink, and toilet for all guests to share. 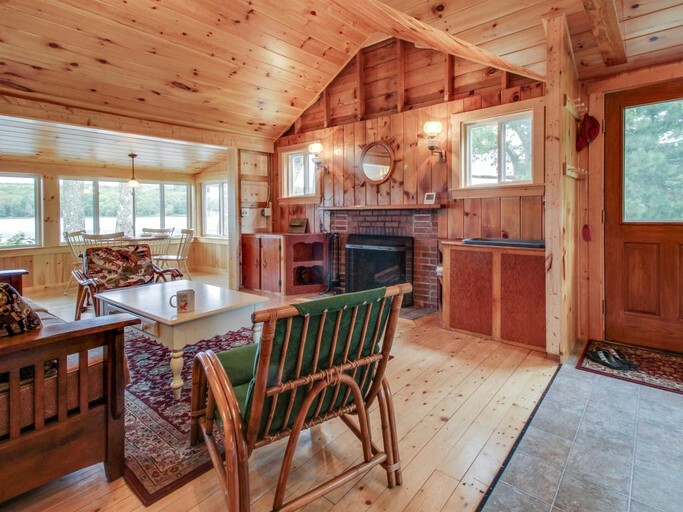 In the living room, guests will find a comfortable couch and two chairs surrounding the fireplace. 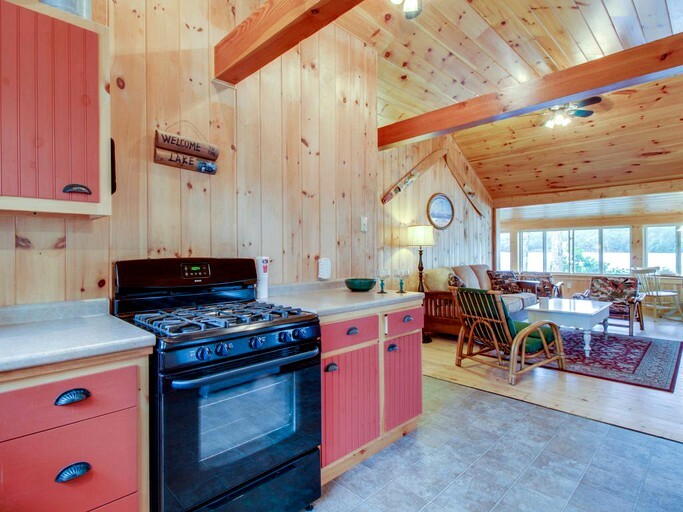 Directly next to the living room is the dining area and kitchen. 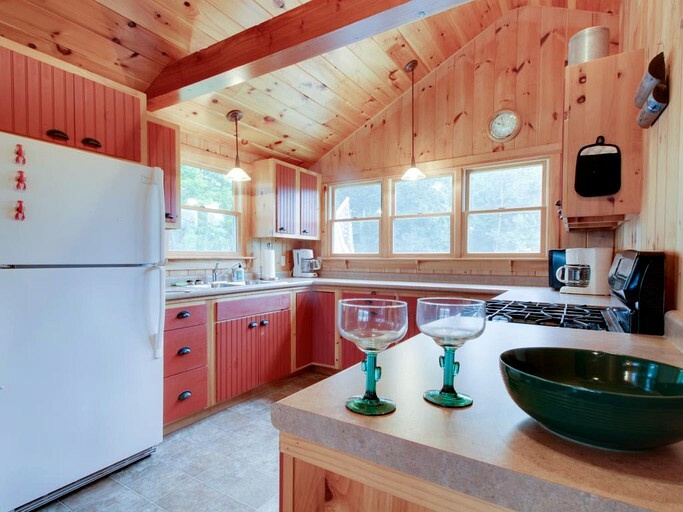 The kitchen is fully equipped with a large refrigerator, four-burner gas stove, an oven, microwave, and ample counter space. 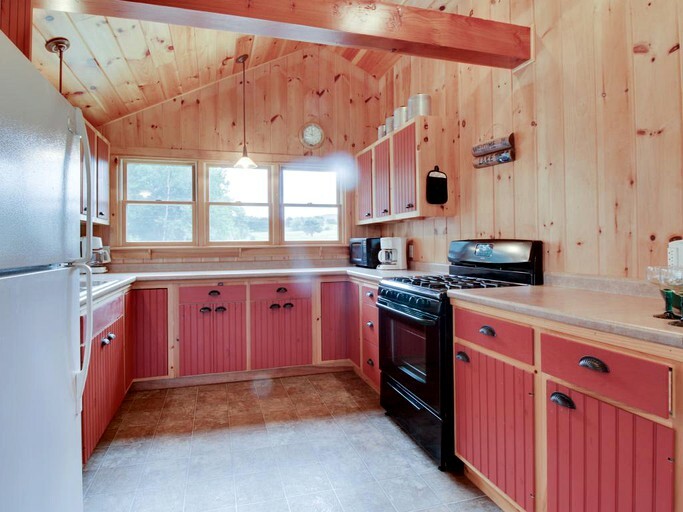 The cabinets are stocked with all the necessary cookware and dinnerware for the perfect homemade meal. 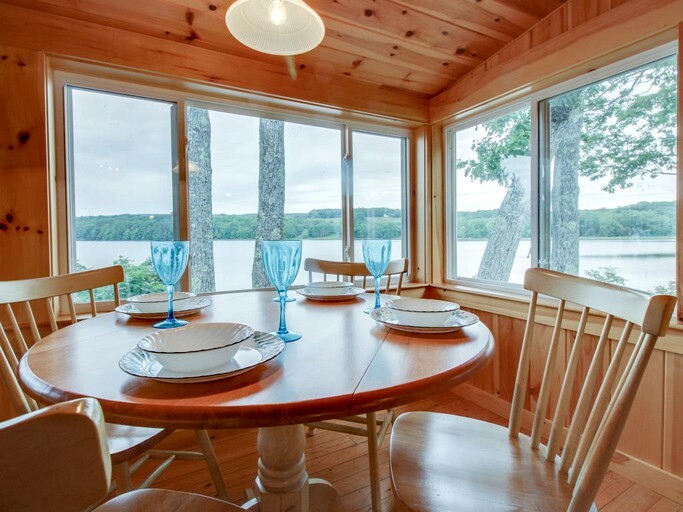 The dining area features a table with seats for four and large windows looking over the beautiful lake. 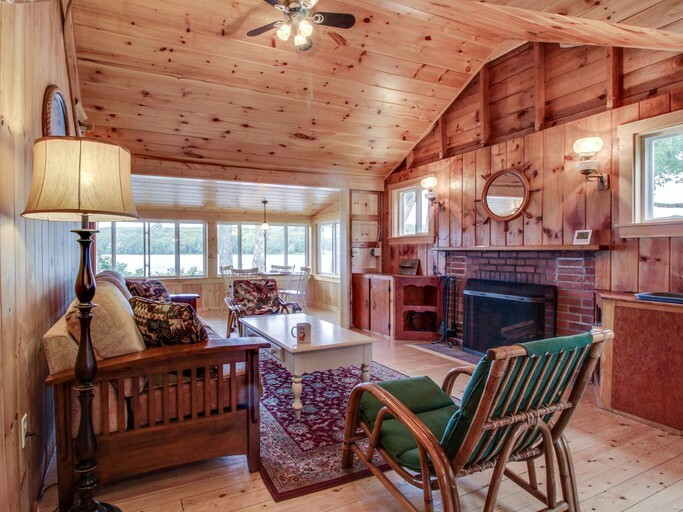 This stunning cabin features high ceilings, hardwood floors, and stunning views from a private dock on the lake. 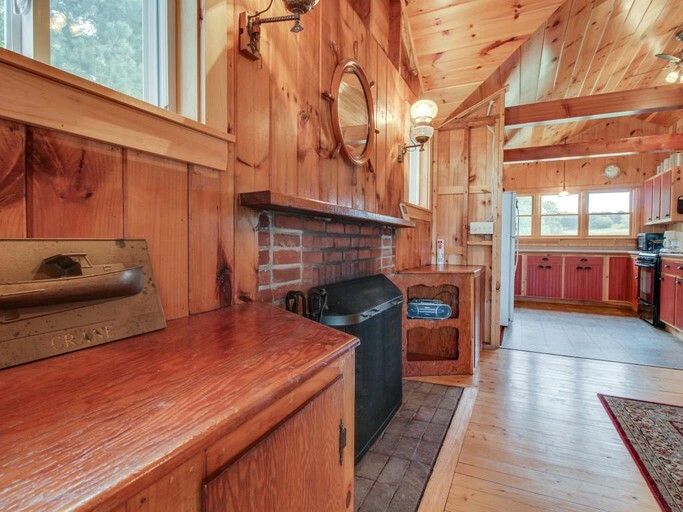 A wood-burning fireplace can be found in the lining room, and a gas grill is located outside for a delicious barbecued meal. 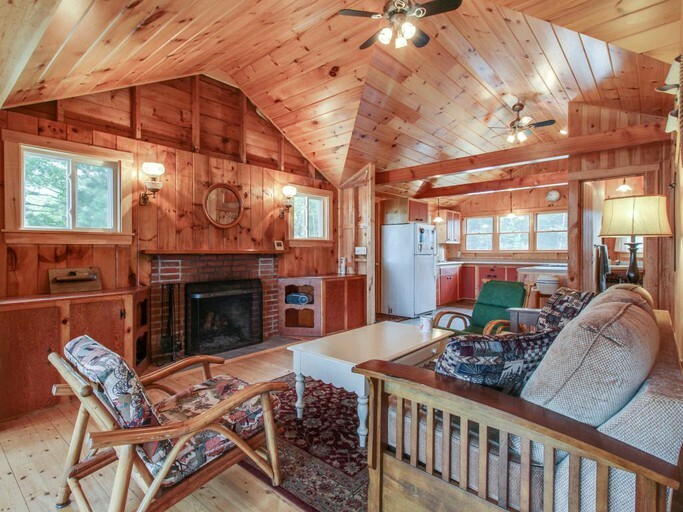 A cable TV and a stereo are provided on site, however, there is no internet access. 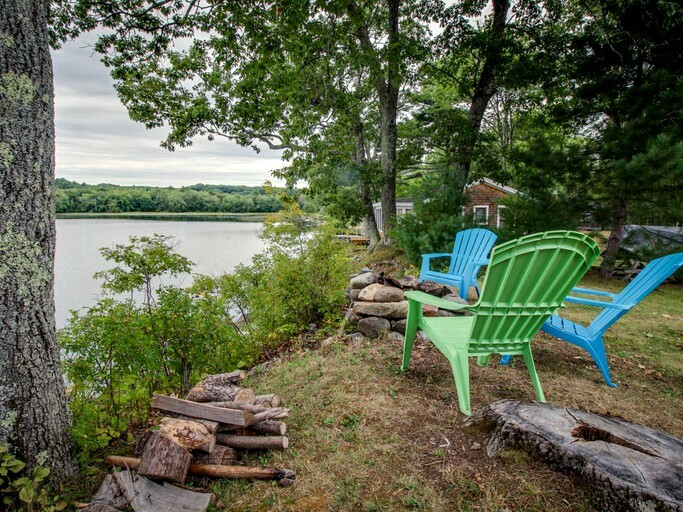 Outside near the water, guests will find several Adirondack chairs surrounding an outdoor fire pit. 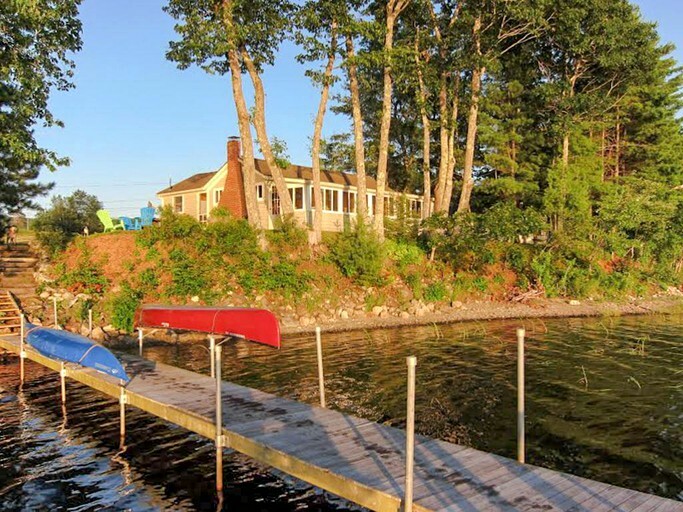 Private kayaks are also available for guests at the dock. 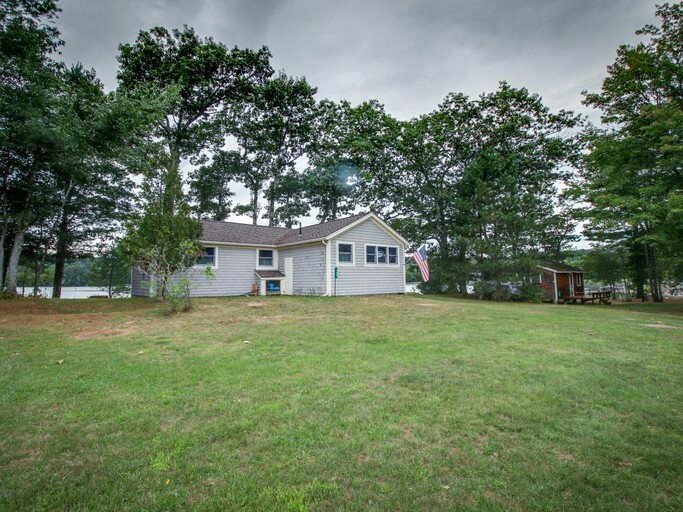 This property is located in the lovely town of Appleton, Maine. 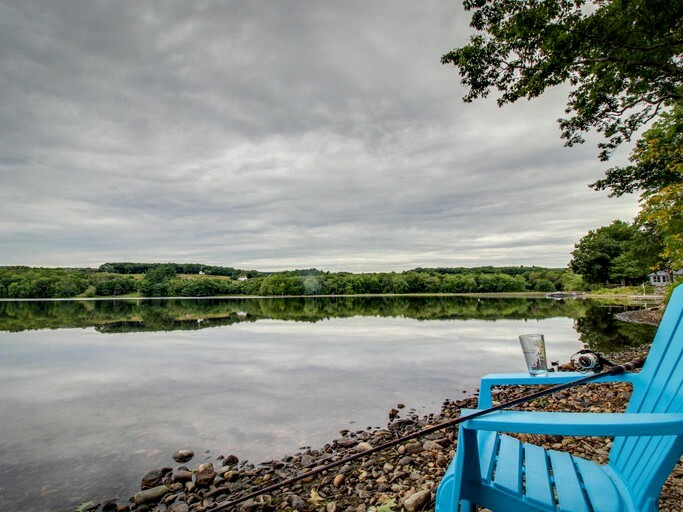 Appleton is just sixteen miles away from Camden and is about fifteen miles inland from Penobscot Bay. 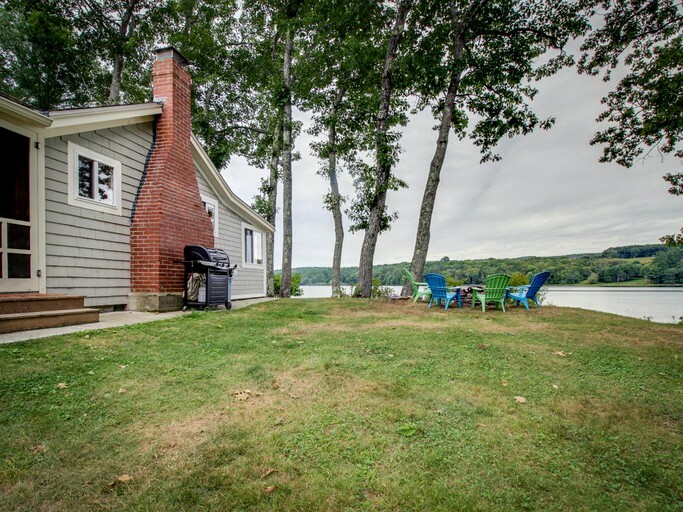 The property is located right on Sennebec Pond and is also near Hope and Union, Maine. 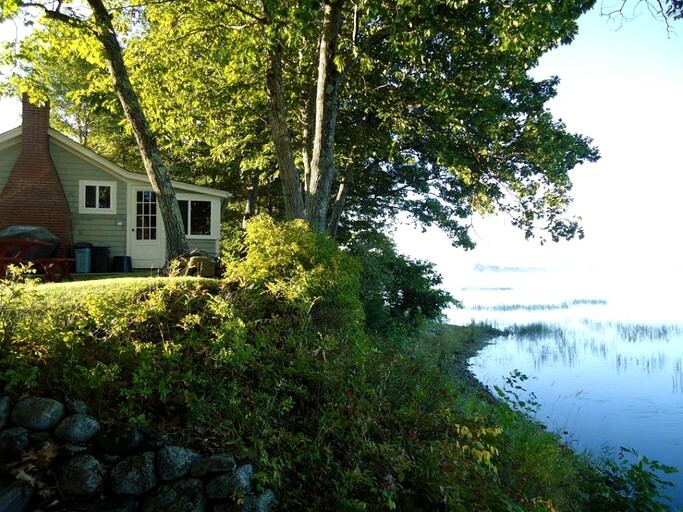 Being situated on the pond, the property looks out over the beautiful waters and scenery. 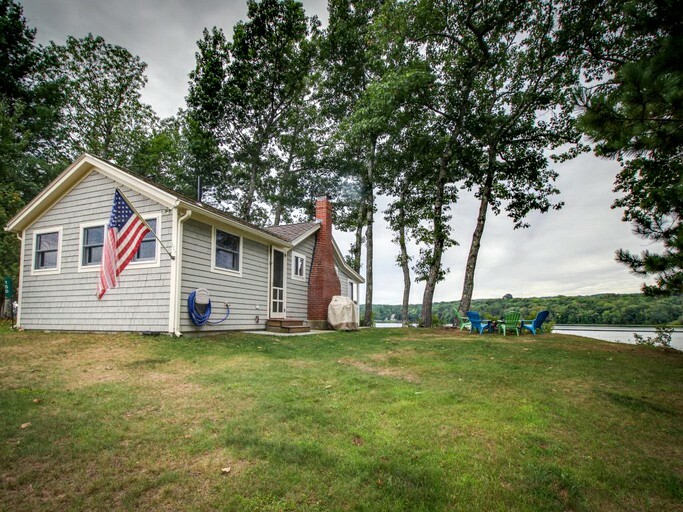 The state capital of Augusta is about thirty miles east of the property. 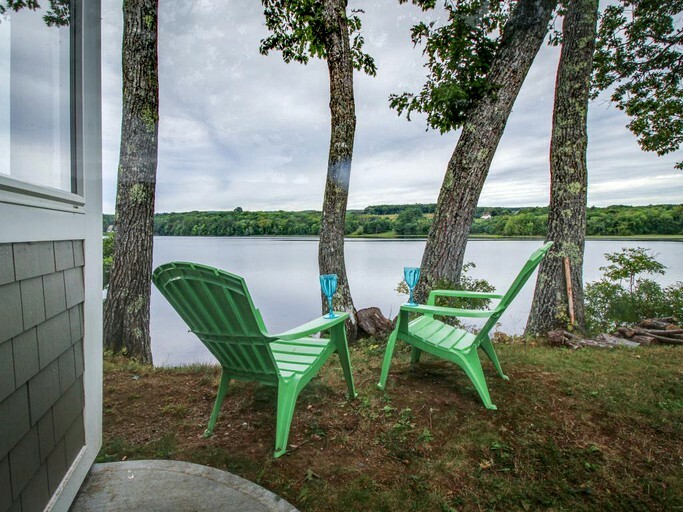 Glampers will have no shortage of activities at this lakefront retreat. 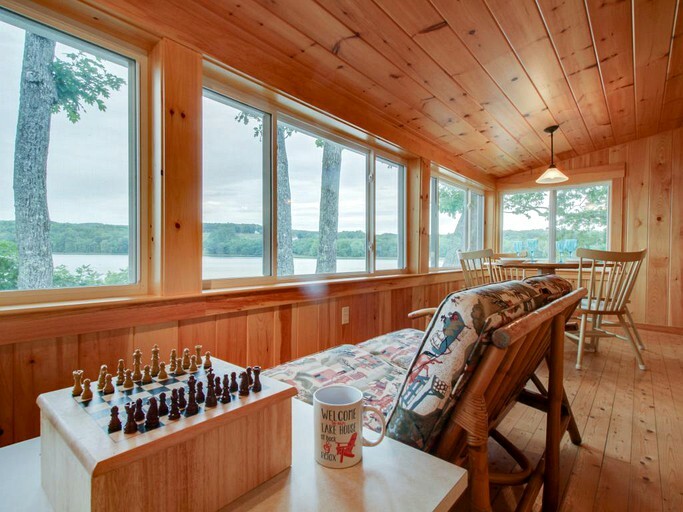 Guests can relax by a warm fire either indoors or outdoors, enjoy a movie marathon on the cable TV, watch the sunrise from the private dock on the lake, or play a game from the wide selection of board games provided at the cabin. 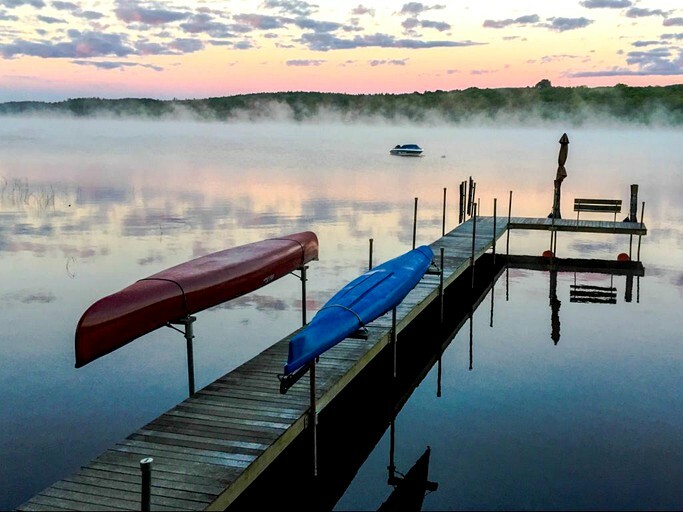 During warm summer months, guests can barbecue a fantastic meal on the gas grill, kayak, or fish on the lake. 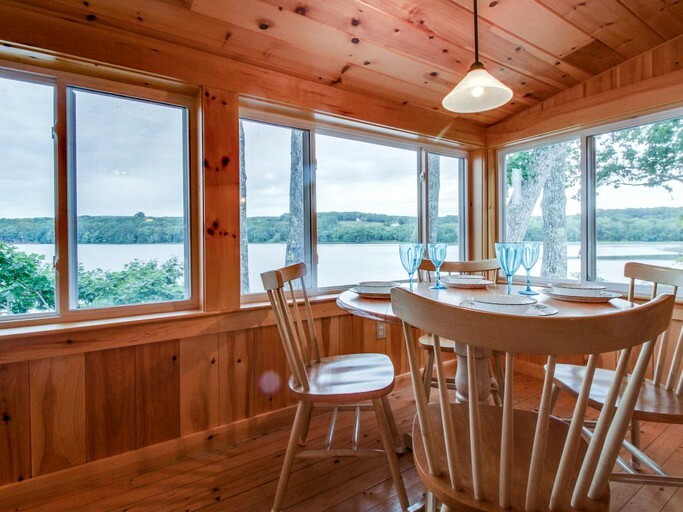 For glampers who wish to venture into town, Appleton offers a variety of rustic shops and restaurants to explore. 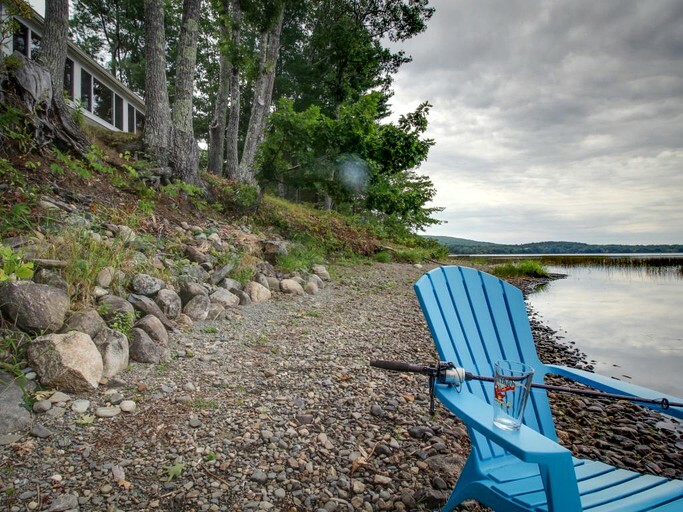 Day trips to the nearby towns of Rockland, Belfast, and Camden will provide guests ample opportunity to explore Maine's finest coastal towns and experience even more shopping and dining. 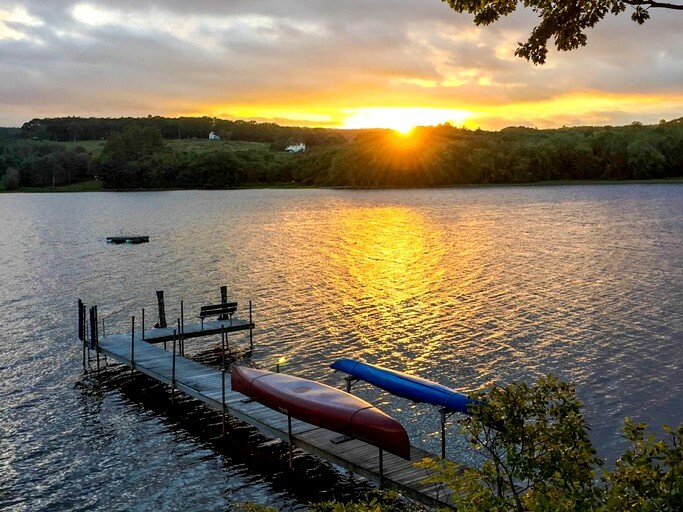 At the Camden Hills State Park, guests can enjoy the array of hiking trails and get in touch with nature. 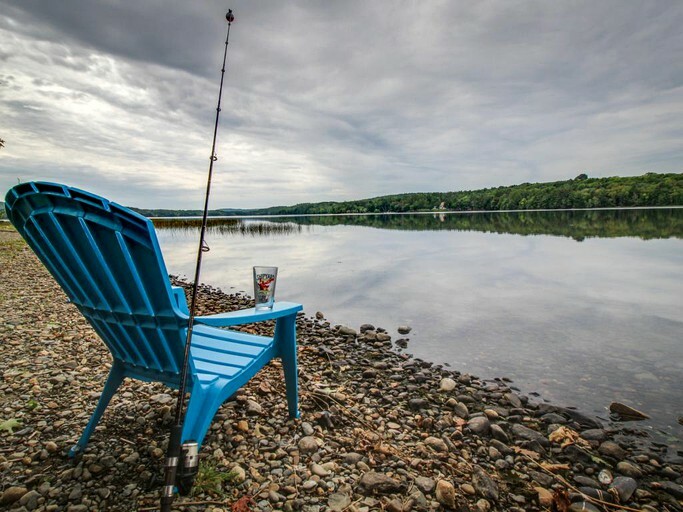 Regional events, including the Lobster Fest and Blues Fest, are perfect activities for guests wishing to immerse themselves in Maine's culture. 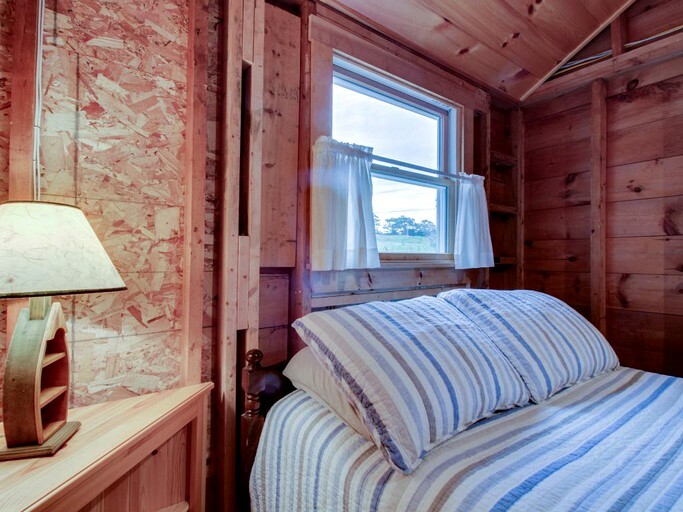 Visits to the characteristic blueberry farms of Appleton are the perfect activity for guests with children. 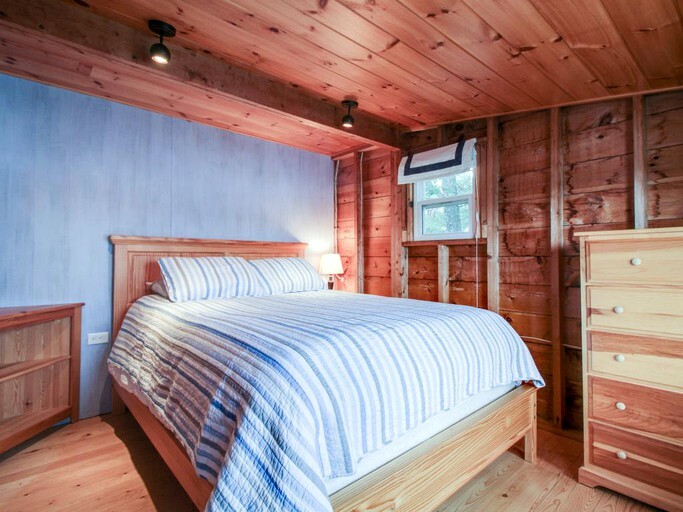 This glamping site is pet-friendly, with a one dog maximum and at an additional nightly fee. 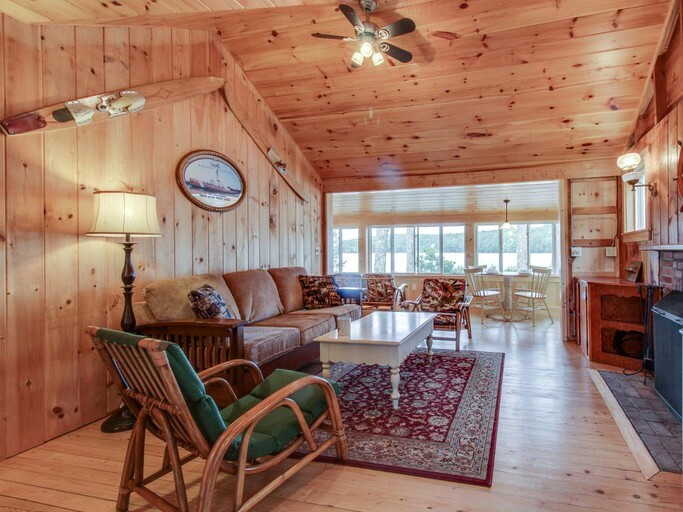 Rates and fees vary by occupancy, season, and length of stay.